It’s a new year, and that means new trends in Maryland, Virginia and Washington, DC flooring! Wide plank flooring is becoming more and more popular, and you’re sure to see more of it in 2012. This beautiful and stylish flooring can add elegance to any room but also give your home a natural, relaxed feel. Best of all, wide plank hardwood flooring comes in a variety of materials, so you can choose the color and stain that best fits your home’s overall style. If you’re looking to install a new floor in your home, consider wide plank flooring! Learn more about this trend for 2012 and decide if it’s right for you! Wide plank hardwood flooring is just like the name sounds: wide. As opposed to traditional hardwood flooring, each plank is much wider, giving your home an entirely different feel. While it might seem like different plank widths wouldn’t really make much of difference in how your home looks, wide plank flooring can actually make a big statement. Consider this: when you think of a beautiful house in the country, do you see skinny planks or wide, grand ones? Probably the latter! Wide plank hardwood flooring projects elegance and comfort at the same time, and that’s something you won’t find with other flooring types. Best of all, you can choose from a huge variety of materials for your wide plank flooring, so you can customize it to fit perfectly with your home. You’ll love having wide plank flooring in your home – you might even decide to install it in every room! A popular type of wide plank flooring is pine. Pine wide plank flooring is a beautiful option for homeowners looking for a country, cabin-like feel. The natural knots and curves in pine wide plank flooring will transport you to the country and instantly make your home seem more inviting. Pine is always a great flooring choice, but pine wide plank flooring will give your home that extra edge to stand out from the crowd. Pine looks beautiful in its natural state and with a stain applied, so you can feel confident you’ll be able to match pine wide plank flooring to any room in your home. If you live in the Maryland, Virginia and Washington, DC area and you would like to see the difference wide plank hardwood flooring will make in your home, contact Elegant Floor Service. We’ve been in business since 1987, so you can trust your wide plank flooring needs to us. If you’re ready to give your home a new feel, contact us for wide plank flooring today! This entry was posted in Uncategorized on May 28, 2015 by dev. Marble or Granite: What’s Better for Your Home? Choosing marble or granite for your floors is a big decision – both come with benefits and drawbacks, but which one is right for you? Either marble or granite flooring can add a lot to your home, giving it visual interest and adding beauty. But of course, marble and granite are very different flooring options so it is important to consider what will work best in your home. So how do you choose which is right for you? If you are deciding whether to install marble or granite floors in your home, learn all you need to know to make an educated choice about which will be best for you here! Elegant Floor Service is the Maryland, Virginia and Washington, DC area’s stone flooring experts, and we can make sure the right type of flooring is installed in your home! Marble is great for complementing your décor while giving your home an elegant, high-end look. If you’re looking for a stone flooring material that will withstand heavy foot traffic, granite is a great choice. 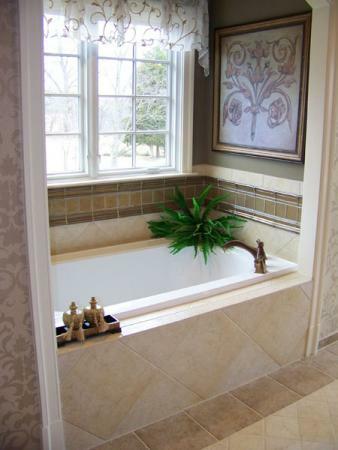 Maintenance is also an important factor when choosing marble or granite. It is important to keep your marble or granite flooring clean and free of dirt and debris that can scratch the surface. Regular cleaning and polishing by a professional is recommended to keep your marble or granite floors looking new – regular maintenance can lengthen the lifespan of your flooring, as well. Quick tip: you should be careful when choosing products to clean your marble or granite floors with, as they can be damaged by abrasive cleaners. Marble, in particular, is very sensitive to acidic substances. It is best to rely on an experienced flooring cleaning company to clean your marble or granite floors. Once you decide whether marble or granite is better for your home, give us a call to keep your floors looking great. We can clean, polish and seal your marble or granite floors as well as repair any damaged grout. Even if you have a stain on your marble or granite floors you are convinced will never come out, let us give it a try! We can make your marble or granite look like new again! If you’re located in the Maryland, Virginia and Washington, DC area, contact us to get your marble or granite floor looking great today! If you are installing new floors in your home, you have a lot of options. With so many types of wood, stains, and patterns, it can be difficult to make the best selection for your home. 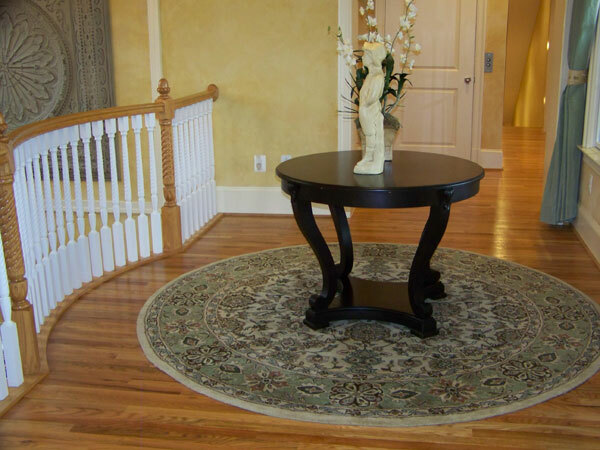 At Elegant Floor Service, we make it easy to get hardwood flooring in Maryland, Northern Virginia, and Washington, DC. These two simple questions will help to ensure you get the best flooring for your home! Where are you installing your new floors? This is the first question you should ask yourself when you are getting new hardwood flooring in Maryland. The answer might seem obvious – you probably already know where you want your new floors – but you need to consider how the room will be used. For example, if you are installing new floors in your kitchen, they will be exposed to heavy traffic, spills, dirt, and more. Unless the room isn’t frequently used, softer types of wood like chestnut are probably not a good choice because they can get damaged more easily. A harder type of wood like oak would be a better choice. Elegant Floor Service provides many types of hardwood flooring in Maryland, Northern Virginia, and Washington, DC, so contact us to see what we have available! What is the current design of your room? If you’re renovating and want new hardwood floors, make sure to put aside some time to consider your design and how your floors fit into it. Wood comes in many different colors, so think about how the color of the wood you choose will complement the room. If you have your heart set on a particular type of wood but it isn’t the best color for your space, you can always use a stain. Stains can enhance or even change the color of a floor – making your room more personalized to you. Since they come in almost every shade of the rainbow, it’s easy to make your floors seamlessly match the room’s design. If you want to brighten a room, go for a lighter stain (also remember that lighter colors can make a room seem more open and spacious!). If you’d rather darken a room, choose the opposite! The right stain can be the perfect finishing touch to your new hardwood flooring in Maryland – just take some time to go over all your options. Elegant Floor Service provides complete finishing services for our customers, including sanding, staining, and top coats. We’ll ensure your Maryland hardwood flooring is just right for your space! If you want new wood floors in Maryland, Northern Virginia, or Washington, DC, Elegant Floor Service is the company to call. We provide installation, maintenance, and repair services for hardwood flooring in Maryland and surrounding areas, so give us a call to ensure your floors are looking their best. We’ll guide you through the installation process and make it as stress-free as possible for you. Learn more about how to get hardwood flooring in Maryland, Northern Virginia, and Washington, DC from Elegant Floor Service and contact us today to schedule an appointment! Depending on your style, hand-scraped hardwood flooring can be a trendy and attractive option. Hand-scraped hardwood floors are an excellent choice for those wishing to achieve a vintage, worn appearance in their home. If you’re looking for hardwood floors in Washington, DC, you may want to consider hand-scraped hardwood flooring! Hand-scraped flooring is hardwood flooring that has been deliberately marked and sculpted to give it a distinct, older look. Manufacturers use sanding, gauging, denting, scooping, or wire brushing techniques to create dents, splits, and holes in the wood. Generally, the more durable hardwood floors are the best options for hand-scraping. Floors like bamboo cannot be hand-scraped. What are the advantages of hand-scraped flooring? 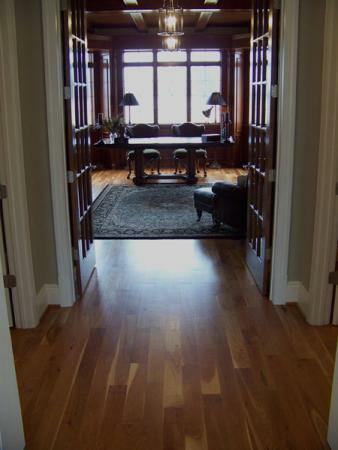 There are many advantages to installing hand-scraped hardwood floors in Washington, DC homes. Because hand-scraped floors already have a distressed look, you can easily get away with any minor damages (scrapes, dents, etc.). Additionally, you can have your hand-scraped floors finished or stained to match your room. You can also choose between solid or engineered hardwood flooring with a hand-scraped texture, along with the level of distress that you want—lots of scraping for high distress or just a bit of scraping for a low level of distress. With hand-scraped floors, you can achieve a beautiful, unique look and texture of an old, vintage floor, but can still get durability and protection with a modern coating. And while you might think the surface of a hand-scraped floor would feel rough, most of the floors are screened and sealed several times to create a protective layer. If you’re considering hand-scraped hardwood floors in Washington, DC or nearby areas, consider a few things first. As with all hardwood floors, you shouldn’t install hand-scraped hardwood floors in high-moisture areas like bathrooms. Additionally, you should follow instructions for cleaning hardwood floors. Most importantly, never clean your hardwood floor with excessive amounts of water, and don’t use just an ordinary cleaner. Even if your floors are sealed, they still aren’t 100 percent protected from water and harsh chemicals in ordinary cleaners. What is the difference between hand-scraped and distressed hardwood flooring? Some companies and manufacturers offer floors scraped by machines instead of by hand. These types of floors are called distressed hardwood flooring. Distressed hardwood flooring doesn’t feature the customized, random scraping and denting a hand-scraped floor does, but it can provide a similar look. Can I hand-scrape my hardwood floors myself? For those of you interested in hand-scraped hardwood floors in Washington, DC or surrounding areas, we don’t recommend trying to hand-scrape your floors yourself (no matter how good of a tutorial you found on Pinterest!) Hand-scraping is a unique process that requires custom hand-scraping tools and a skilled craftsman. While the scraping process itself requires skill and technique, there is more to hand-scraped floors than just the scraping process. If you try it yourself, you also have to worry about finishing the floors with a staining, sealing, screen, and/or recoating. Hand-scraping is a job best left to the experts! If you’re interested in hand-scraped hardwood floors in Washington, DC or nearby areas, contact Elegant Floor Service today. If you’re installing new hardwood floors, there are many options available to meet all of your functional and stylistic needs. When installing wood flooring, one major decision you will have to make is whether to install prefinished hardwood floors or unfinished wood floors. Why Install Prefinished Hardwood Floors? sanded, stained, and sealed, prefinished flooring takes less time to install. You can enjoy your new hardwood floors immediately after installation and don’t have to worry about waiting for them to dry. With prefinished hardwood floors, you also don’t have to worry about excessive dust accumulating from the sanding process. Why Install Unfinished Hardwood Floors? Unfinished wood flooring, more commonly installed than pre-finished, needs to be sanded, stained, and sealed after installation. In general, unfinished wood flooring is a better option if you plan to install floors throughout the whole house as it provides a consistent color and finish. If you are looking for a new floor that will match existing flooring or trim, unfinished hardwood floors are easier to match with staining. Unfinished hardwood floors also tend to cost less than prefinished hardwood floors. In addition, unfinished hardwood floors allow for more customization than prefinished wood floors. With custom color staining options in addition to the ability to add inlays, medallions, and borders, you’ll be able to achieve the exact look you want. Whether you choose unfinished or prefinished hardwood floors for your home or office, both options allow for refinishing—ensuring that your investment will last you a long time. Refinishing your wood floors is a great way to make your home look better without having to completely remodel. If you have questions about what type of flooring is right for your Maryland, DC, or Virginia home or business, contact Elegant Floor Service. An Elegant Floor Service sales representative can assist you by providing samples of an almost unlimited variety of species and colors of hardwood floors. So whether you’re looking for unfinished or prefinished hardwood floor installation, call us today.